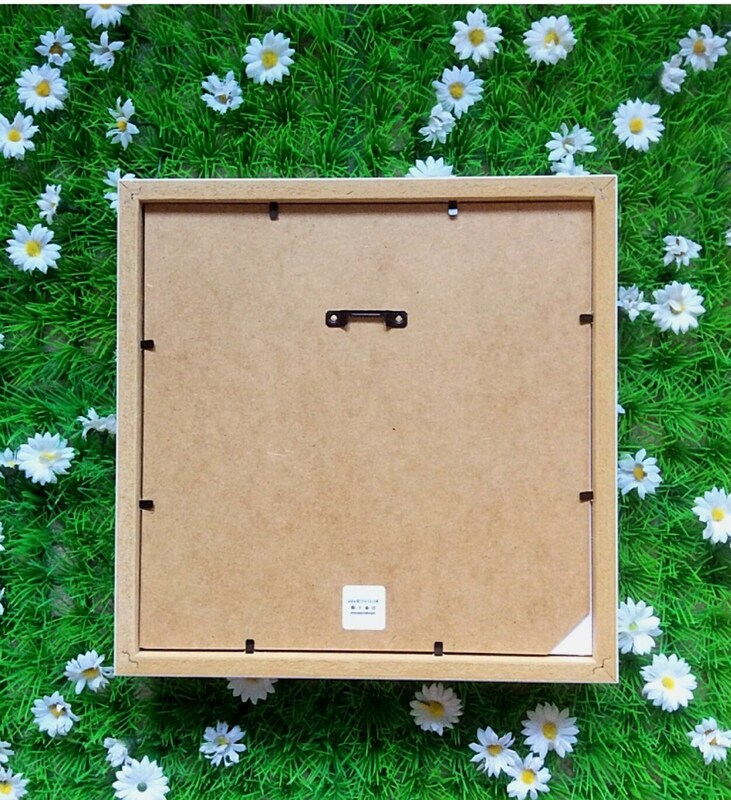 Ideal as a lovely gift for a Christian. 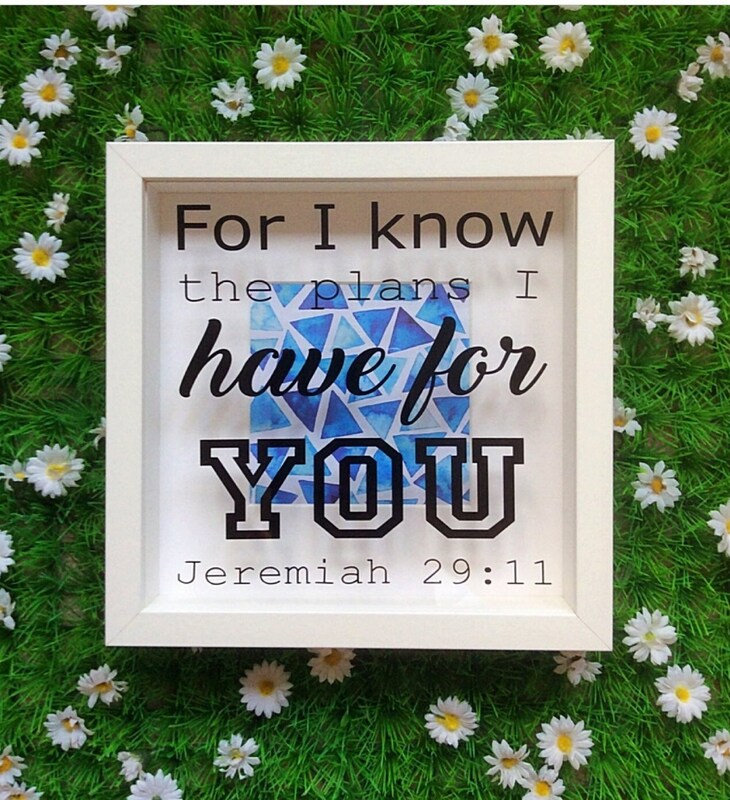 Modern bible scripture square frame with a verse from Jeremiah that reads "For I know the plans I have for you". 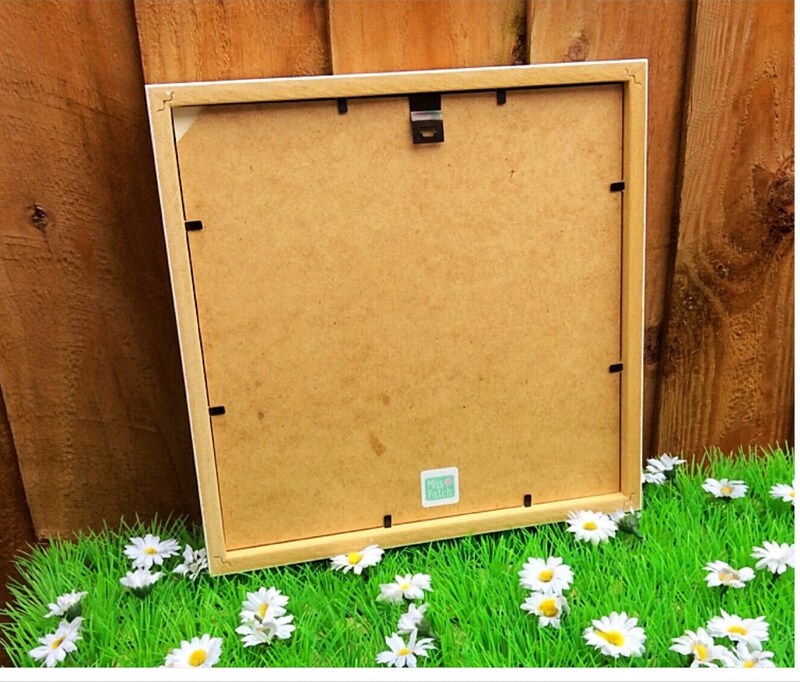 An ideal bible wall art gift or keepsake for a Christian friend or relative or to decorate a modern Christian home. 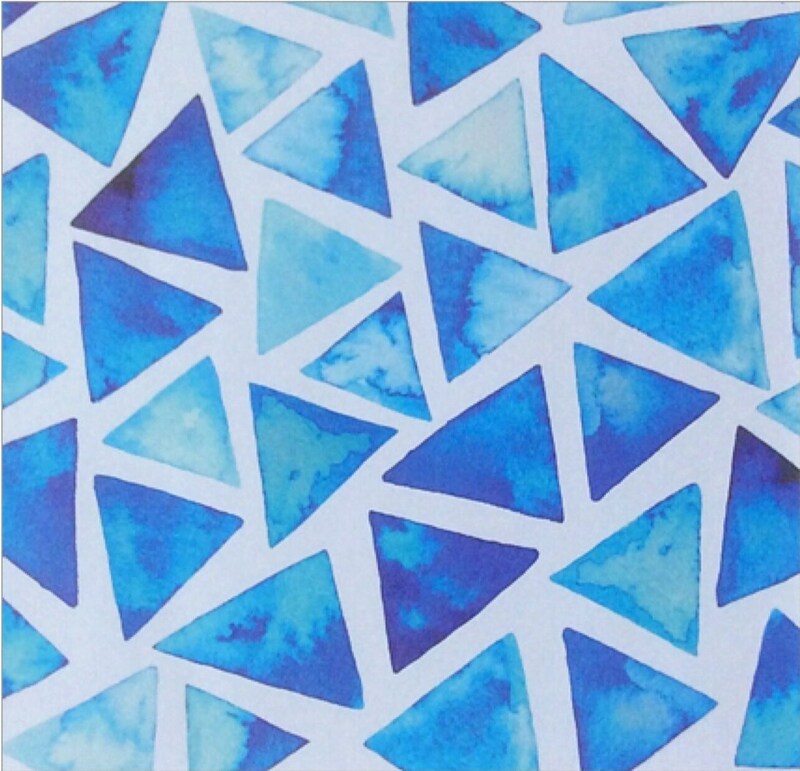 Blue geometric watercolour background with mount.